Growing animals for food and animal produce is called animal farming. In animal farms, animals are mostly cultivated for food, farm work, or to help make more animals. Animal farming requires a large amount of land, but can be a very profitable thing to do. 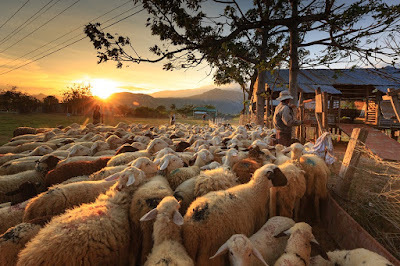 A picture of animal farming. On animal farms, animals often work for food and are fed multiple times each day. Animal farms make sure that the animals are taken care of and get exercise every day. At animal farms, the animals have homes of their own which provide them with shelter and comfort. On animal farms, animals are given shelter and comfort and food throughout their life. Animal farming makes it easy to get a regular supply of protein from animal cultivation. In animal farms, animals are grown according to standard practices followed by the best farms in the world. Sometimes, animals in animal farms may become ill due to farm conditions. 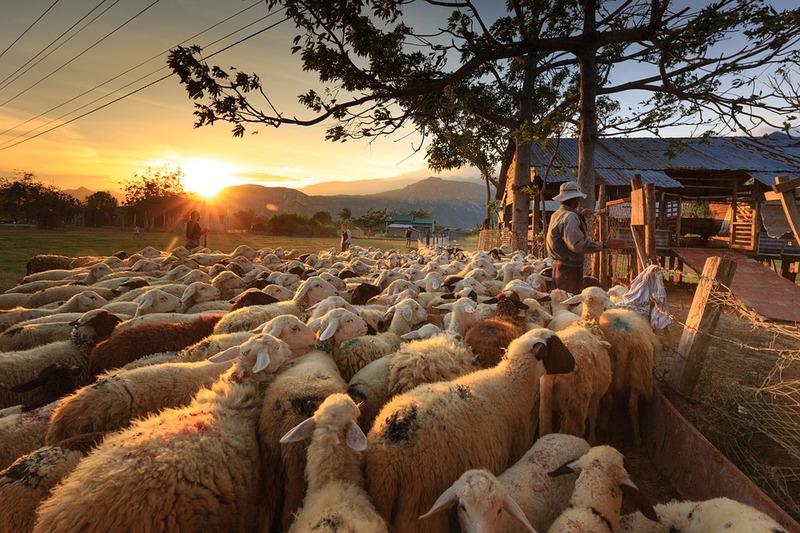 Farming animals requires following strict practices to ensure top quality produce. Animals cause air and noise pollution, so, they cannot be farmed in cities effectively. Animal farms can be bought by buying land, farm houses, animal farmers, and finally, the animals. Different types of animal farms yield different types of animal produce. Animals provide consumers with animal products like meat, eggs, honey, and other useful products like skin, bone or shell, hair, and claws. What types of animal products do you know about? Growing fruits for consumption is called fruit farming. Fruits are cultivated in fields called orchards where fruit trees are watered and cultivated for food. 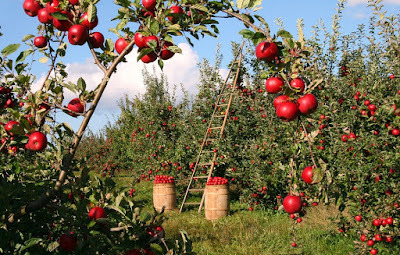 Fruit trees are often cultivated in rows so that a vehicle may pass, making it easy to gather fruits from their trees. A picture of fruit farming. Fruits are cultivated till they become ripe and change color. 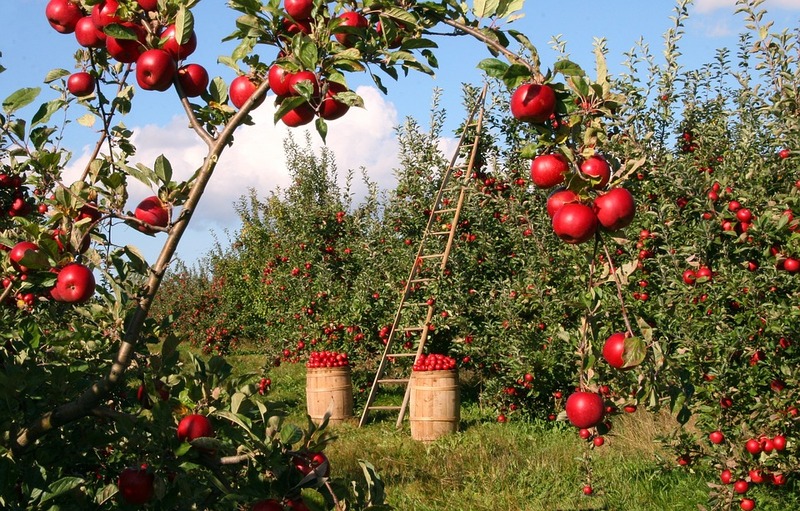 In fruit farms, fruit trees are planted in rows, in fields called orchards. While farming fruits, in some regions, fruits are protected with fruit bags. Fruit farms deliver a huge yield per orchard. With fruit farming, the produce is always sweet. Fruits, from fruit farms, help make very tasty pickles, desserts, and salads. Fruit farming is climate-dependent; fruits many not grow in all regions of the world. Fruit farming is care-intensive; fruits may require a large amount of care for cultivation. While harvesting fruit, when fruits are made into pulp to make fruit drinks, much of the fruit is often wasted. Fruit farming requires fruit fields, watering systems, people to supervise, and trucks for collecting fruit. Farming fruits can be done easily when there is a demand for fruits. Every supermarket or grocery store in your area would have a fruit shelf which displays fruits for sale. Fruit farming produce presents many products to consumers. What types of fruit products are you familiar with? 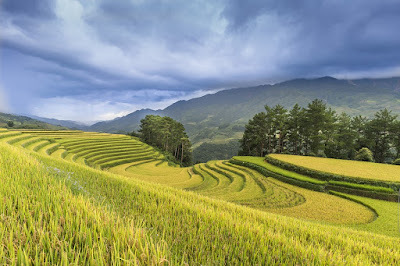 Cultivation of food which can be grown on the land is called crop farming. Crop farming involves the farming of foods which can be processed and consumed. Crop farming helps cultivate food produce which consists mostly of farming grain and vegetables. Various methods of farming crops are used in farms to gain the best yield of crops. A picure of a farm crop. Crop farming is done using seasonal crop cycles. Crop farming often requires organic fertilizer to help the crops grow. Crop farming requires hybrid seeds to grow crops without interference from pests, until maturity. Crop farming helps provide food for everyone. Crop farming lets farmers get benefits from the government. Using crop farming methods, multiple crops can be grown on the same field. Farming crops may require more resources than the profit it would bring. Crop farming introduces new varieties of seeds which may require a lot of time to get used to. Using crop farming methods the yield of crops may differ per season - the yield of crop which is produced is never consistent. Crop farming is often known as agriculture and requires farming equipment, farm lands, and crop seeds. These days, most crop farmers are shifting towards sustainable farming methods. And, farmers markets are growing with popularity around the world. Which methods of crop farming are you aware of?